Love a classic feminine style? 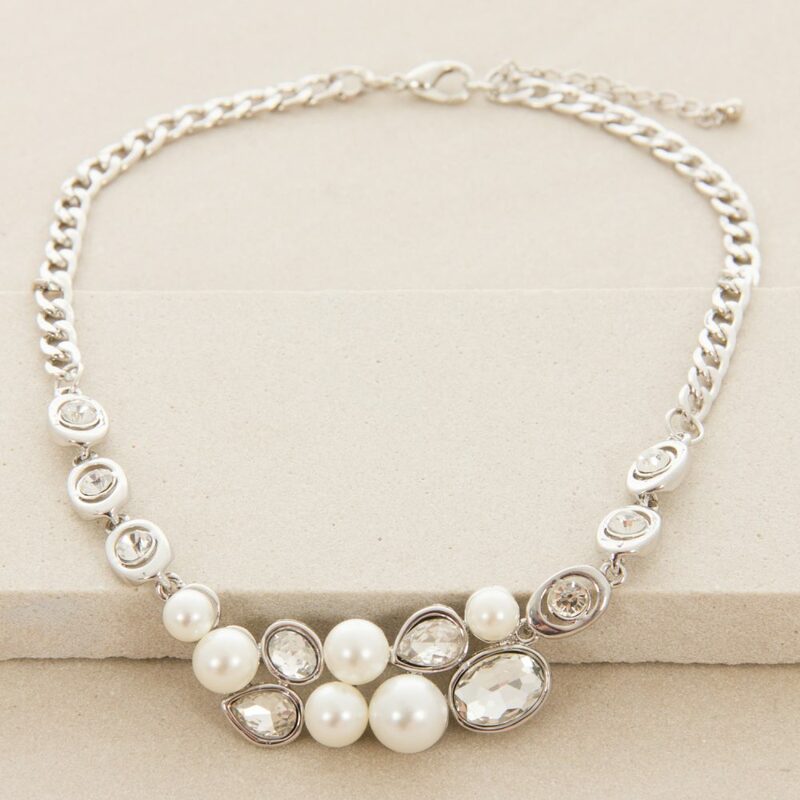 Add our quality Pearl & Jewel Mix Necklace to add an element of sophistication to your look. The Pearl & Jewel Mix Necklace is the perfect mix of class and glamour. The thick silver chain is decorated with beautiful white and silver coloured pearls, beads and jewels in both a circle and oval shape. This accessory is a short length necklace so would match perfectly with anything from a low cut dress to t-shirt style top.